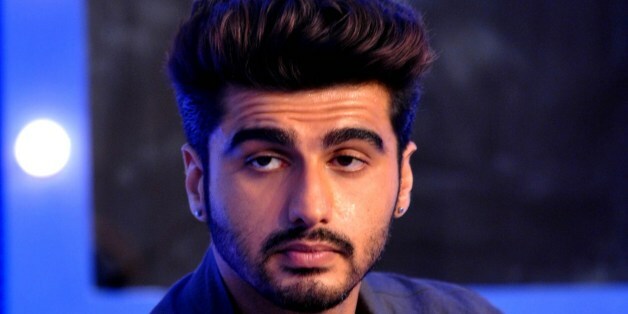 MUMBAI — Arjun Kapoor completed three years in the world of showbiz on Monday and the actor says the journey has been "surreal" for him. "So happy birthday to me 11th may 3 years back I was born on celluloid...6 films & 3 years later still feels surreal," Arjun tweeted on Monday. The son of producer Boney Kapoor ventured into Bollywood with 2012 film 'Ishaqzaade' in a rough and rebellious look. Arjun also thanked his fans for supporting him. "Thank u to all of u for all the love and unconditional support I am nothing without all of u... #3YearsOfArjunKapoor. Thank u for showering all the love & making me feel special about being in the industry for 3 yrs," he wrote. The actor went on to try different genres of films by doing a double role in 'Aurangzeb', essaying role of the hot-headed Bala in 'Gunday' with ease, and also brought forward his nerdy side in '2 States'. On the occasion, his fans on Twitter trended the hashtag '3 Years Of Arjun Kapoor'.